It is a matter of style…not price…. 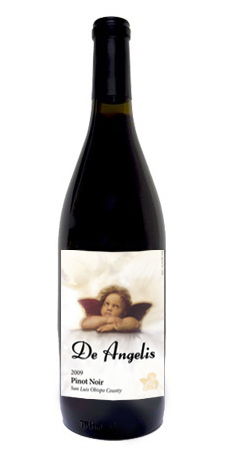 NOTE: we have removed prices for De Angelis Wines wines from our web site, as we will no longer sell our wines on the web site. To inquire about a wine or a wine price, click on the CONTACT US link and send us a simple email telling us in what wine you are interested. Our wines usually sell for between $35.00 and $45.00/bottle. More importantly, this web site is more than anything an information web site. We want you to know who we are, how we make our wines, and why they are so representative of the variety. Approximately 11,100 wineries in the United States made one or more varieties of wine. Why should a visitor here pick our wines to purchase when there are so many choices out there? That’s a good and reasonable question, and one De Angelis Wines should be able to answer. We could say “Because they are really very, very good.” That may not work because all wineries say that. We could say that they are a great value, especially in today’s economy – tomorrow’s too. Everyone else says that also. So why buy De Angelis Wines? The best answer we have is that they are made in a style which makes them enjoyable to drink, and consistently represent the conditions of harvest during the year in which the wines were made. This means that each year when the fruit is picked, we make a determination about how that year’s wine shall be crafted, and why. A hot, dry year calls for one approach, and a cool year, with two or three heat spikes calls for another. As a very small production winery, we have the luxury of making these types of determinations. Never are we awaiting a delivery of 30 or more tons of fruit that needs to be processed according to a standard procedure that cannot be either easily, or economically modified. We are not suggesting that good, and often great wines, cannot be made under these conditions. We are saying that we choose not to do that. Likewise during the entire wine making process, we are able to monitor individual barrels and tanks, and thereby tease out the best characteristics of that variety, and develop a wine unique to that year. One cannot do th at easily when a barrel room contains 5000 or more barrels! All De Angelis Wines are crafted to pair well with a wide variety of food. We are so confident of that statement that we have included a large recipe and food pairing section on this web site which is designed as an e-commerce gateway to our wines. Without food, we believe that wine is simply another beverage. In summary, a brief example may help make what we are trying to convey clearer: Our 2009 Pinot Noir is very different from our 2010 Pinot Noir which in turn is different from the 2011 Pinot. Why? Each harvest in each year was different. When sensitive to this nuance, the results are wines of the same variety that differ in many important ways. 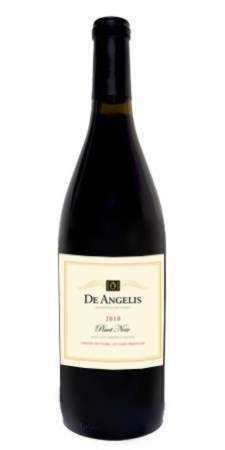 De Angelis Wines produces more red than white wines.. There are a number of reasons for this concentration on Red Wines, but the major one is that we personally enjoy making red wines just a bit more than white wines. Add to that the ability to blend Reds into unique wines; wines that reflect a myriad of different winemaking options, and the temptation to make more reds than whites is tough to ignore. We are not saying that we will never make white wines. We will. In fact, this year – 2015 – we have contracted for Chardonnay fruit from one of the best vineyards on the West side of Paso Robles. That said, it is safe to say that we will continue to make more Red wine than white wine over the years. Both however will be made carefully, and will represent the best off that variety.